LONDON – On Tuesday, a car that was speeding struck several pedestrians and eventually crashed into a security barrier outside the House of Parliament in London. The police detained the male driver. Video footage shows somewhere close to a dozen armed police officers heading towards a silver Ford and pointing their weapons at it. Eventually, they successfully handcuffed the driver. Police officers urged people to leave the area and set up a security cordon around the Parliament Square, with dozens of police cars parked at the site and helicopters in the air. Also, Westminster Bridge was closed to all vehicles and pedestrians were showed alternative routes. 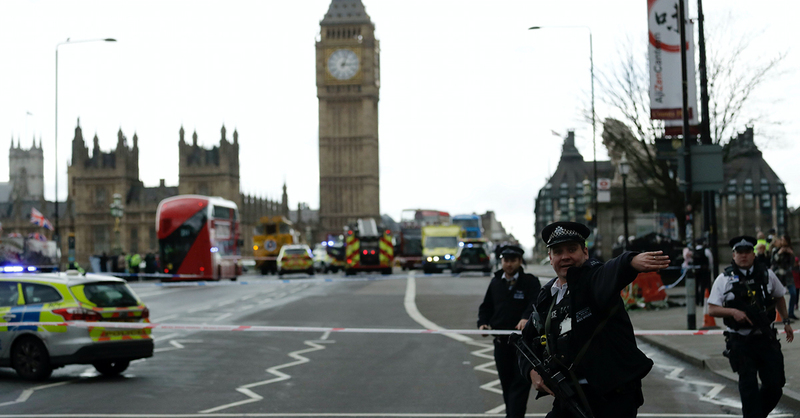 Moreover, the nearby Westminster subway station was closed to prevent further incidents. Thankfully, none of the injured were believed to be in life-threatening conditions. A police spokesman refused to say whether this was a terrorist act or not. However, television stations mentioned that the episode seemed deliberate, as he car was traveling too fast and did not swerve before striking people or the security bollard. The declaration of police states: “At 7.37 a.m. today, a car was in collision with barriers outside the Houses of Parliament.” The statement said that the male driver of the car had been detained by officers at the scene. “A number of pedestrians have been injured,” it continued.